One of the things that make Russians really proud is that we had sent the first man to Space. 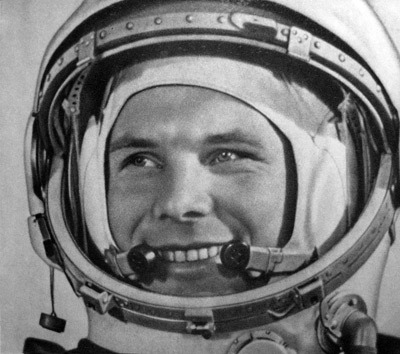 April 12th, the anniversary of Gagarin’s flight of 1961, is the day that reminds us of that event every year. Although country is still a space nation, the current state of our space program is far from perfect. A cult figure, a superman with a wide smile. He is famous for saying, “Let’s go” a second before he was launched into space to experience something that no man ever experienced on Earth. His space mission only lasted 108 minutes, but these minutes opened a new era of space exploration. Not all people know that even his family was not aware that he would be the first man in space. It was a top-secret project, so he could not tell his wife or parents. They learned that Yuri is in space from the radio together with the rest of the nation. He did write a letter to his wife though, but she meant to receive it only if things do not work out, which thankfully was not the case. She had received that letter when he died in a plane crash in 1968. Circumstances of that plane crash are still unclear – he was such a master pilot that people have various conspiracy theories on that tragic accident. 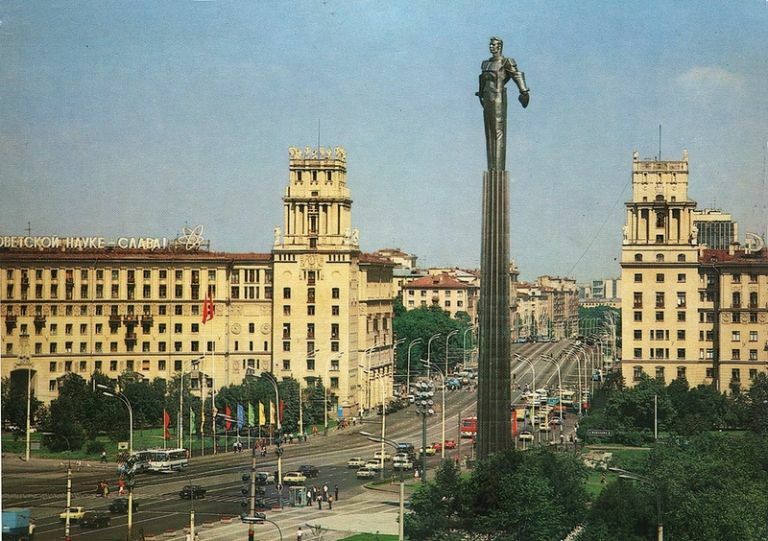 A monument to Gagarin is close to my place in Moscow. I like that monument – it is quite symbolic. You see the tiny capsule in which he traveled in space and an oversized figure of him, raising in the space. And read about the life-threatening dangers of his mission! I wonder why there are no movies made on that subject yet – Leonov’s space suit expanded outside of spacecraft and only his inventiveness and calmness saved him from dying and helped him to get back to the space ship. I have recently seen Leonov in person. He was supporting a release of Hollywood film Oblivion. It took place in one of the most posh movie theaters in Moscow. 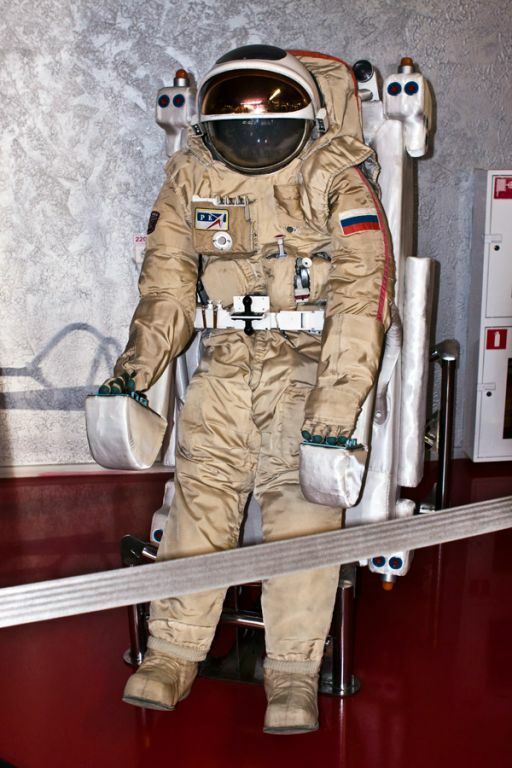 Leonov was wearing a version of a space suit. He is in his 70s by now, but his appearance caused more applause than the appearance of Tom Cruise at the same stage several minutes before that. And we could see that for Tom meeting with Alexey was a real treat, he talked to him with great respect, after all Alexey Leonov really did experience all the hardships of space travel which Tom just plays in his scenes at the studio lot. Alexey Leonov warmly greeted Tom Cruise and said: “Tom is a cool guy, real pilot!” And then he talked about the beauty of the planet and the need to raise awareness for conservation of that beauty and sustainable development. That was a very moving speech. “Sea-gull speaking”, sea-gull was a nickname of the first woman in space that she used in communication with the mission control center. 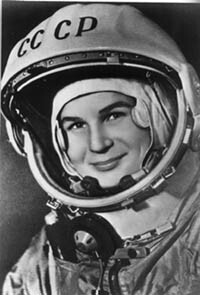 USSR was very modern in gender equality, so sending a female cosmonaut to space was an important thing to do for the government. Now both boys and girls could dream of a career in space. After it was proved that a human being can survive a short flight, the next goal was to make long-term space travel possible. That was challenging since human bones, muscles and cardio-vascular system suffer from long periods of weightlessness. But space scientists managed to make extended missions possible. When I was a child I met with Anatoly Berezovoy, first Russian cosmonaut, who worked in space for 6 months. I was extremely lucky since I spent an entire evening with Anatoly when he had dinner with us at our place in Kenya. I asked 10 thousand questions. He talked about scientific experiments in space, need to workout a lot to keep up muscles, communication in the team, views of the Earth in different seasons, missing smells and sounds of Earth and not seeing any aliens (that fact did upset me). However, even before humans, there were other mammals in space. The most famous of them – dogs Belka & Strelka (Squirrel and Arrow). Strelka’s descendants are still living in the US – Nikita Kruschev gave one of Strelka’s puppies to Jackie Kennedy as a present. Hygiene/medicine etc. Even the most ordinary tasks, such as everyday grooming become challenging in space. That is why it is always interesting to learn how astronauts manage to shave, wash their hair and what do they do if they have a tooth ache. These days most Russian kids no longer dream about becoming astronauts, business person is a much more popular profession. Adults are hesitant as well – in 2012 only 304 people applied for the job (8 people were finally selected and are in training now). Russia still is a leading space country at Earth orbit, maintaining orbital space station and sending Russian and International astronauts to the station. But comparing to the 60s – industry is showing the signs of decline – launches of navigation satellites repeatedly fail, NASA is leading in Mars exploration, science is under financed. And although the Space Museum is really gorgeous, Space Pavillion at VDNH (Exhibition of Achievements of National Economy) is slowly decaying. There aren’t many modern achievements in Space to boast about, so the pavilion is now inhabited by sellers of garden plants… So Russian pride about space is now a pride with a bit of bitterness.